“Silent Sentry” by Theresa Rizzo is an intense romantic mystery thriller. Gianna Donnatelli is about to realize her dreams as her company is set to go public with a revolutionary medical product that will also help revitalize her beloved city, Detroit. When she is attacked and lands in the hospital, Dr. Joe Scarfili, an old family friend, vows to keep her safe regardless of the stakes. The forces after Gianna’s company are more powerful than either Joe or Gianna could imagine however, and they may just be in over their heads. Rizzo is masterful at crafting a complex riveting tale of action and drama with twists that keep the reader guessing to the very end. I thought I had things figured out, but found myself heading down the wrong trail so many times that I finally had to stop speculating! The characters are well defined, multi-dimensional, and realistic. I felt like I was actually inside their heads at times, even when I didn’t want to be there. What I appreciate most regarding the characters, is there weren’t any “extras” just taking up space in the plot. Every character had a purpose, there were no fillers, and I found that to be quite refreshing. This was the perfect book for me to curl up with on this cold and rainy December day and, once all wrapped up in my comfy blanket, I did not move until I finished the very last page. I highly recommend this book to fans of romance and thrillers alike. 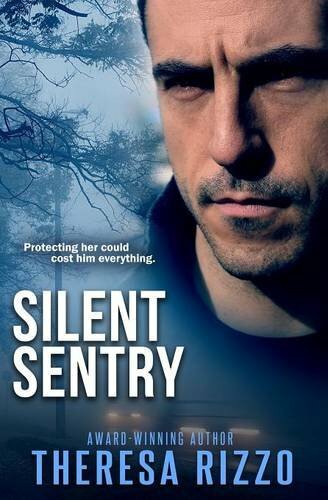 “Silent Sentry” left me wondering how it is I have not read any of the other books by Theresa Rizzo, but I can guarantee I will not be able to make that statement for very long.